Knowing when to use which tense in your dissertation or dissertation is a common problem for both native and non-native writers in English. This article aims to outline the basic uses of different tenses in academic writing. Tense communicates an event’s place in time, and the different tenses are identified by their associated verb forms. We can categorize tenses in two different ways: first, we can think of past, present, and future. Second, each of these tenses can take four aspects: simple, perfect, progressive, and perfect-progressive. Where should I use what tense? 1 In English, Progressive is also called Continuous. What follows is a table that outlines the various tenses that are used in theses and dissertations and the purposes they are most commonly put to. First, though, it’s worth saying that the future tense and the progressive aspect are by far the least common in academic writing. The future tense is not often used in academic texts because it tends to carry the tone of a prediction with a high level of certainty. Since academics are expected to be cautious about their assertions, making predictions with a sense of certainty is often (though not always) inappropriate. To solve this problem, when describing a future time an academic writer should consider using modal verbs other than will (the verb that most commonly denotes future tense). Modal verbs express possibility, and common examples of modal verbs include will, shall, could, would, ought, can, and may. They can appear in any tense but have a special use, since many of them (with exceptions such as will and shall) do not refer with certainty to anything that actually happened, happens, or will happen. Progressive aspects, on the other hand, may be generally absent from academic writing for at least three reasons. First, it is not so often that an academic needs emphasize that something is ongoing. Second, because the progressive aspect is used frequently in conversational English, it may lend an undesirable, informal tone to the writing. Finally, unless a writer has a specific need to emphasize that something is ongoing, the progressive aspect may force overuse of the verb “to be” and inflate the writing with unneeded uses of present participles (i.e. verbs modified with “ing,” such as “going”) where the simple aspect would be more concise—rather than “is going” (progressive), we have “goes” (simple). Present Simple The tense most commonly used in academics, since academic study generally concerns what is and is not the case (i.e. in academics we are primarily concerned with establishing the facts of a given matter and making sensible generalization about that matter). It is worth noting here that abstracts are most often given in the present tense, even while they communicate information about other sections that normally use the past (as when an abstract describes key points of a study’s methods). This is because the abstract is primarily to talk about the paper itself, which will remain the same over the passage of time. Also worth noting, background information is usually described in relation to the present state of knowledge about a subject. As such, background information is often given in the present tense. Past Simple Commonly used in case studies or descriptions of historical events. Additionally, this is the primary tense used in the methods and results sections of reports, since these sections should emphasize experiments and procedures that began and ended in the past. Also found in the conclusions section of reports when referring to these experiments and procedures as they were carried out. Present Perfect Most often used in literature reviews, where the focus is on examining work done in the past that is relevant to the current concerns of the paper. Also used for references to past relevant work more generally, regardless of which section of a paper these references appear. Past Perfect Not commonly used in academic work, except in certain disciplines (such as history and literary studies) that need to make fine distinctions between different points in the past or different points in a narrative’s plot. Future Perfect Not commonly used in academic work (see note on Future Simple). Present Progressive This and other progressive aspects may be used, for example, in literary studies where there is a need describe the actions of a character in a particular scene, or in philosophy when a writer conducts a thought experiment, but the progressive aspect is not commonly used in academic writing. Unless there is a specific need to emphasize the continuing nature of an action, it will often be preferable to revert to a simple aspect. For example, instead of “In this passage Dr. X is saying that…”, an author might write, “In this passage Dr. X says that…”. The second version is both more concise and more formal. Past Progressive Not commonly used in academic work (see note on Present Progressive). Future Progressive Not commonly used in academic work (see note on Present Progressive). Present Perfect-progressive Not commonly used in academic work (see note on Present Progressive). Past Perfect-progressive Not commonly used in academic work (see notes on Present Progressive and Past Perfect). Future Perfect-progressive Not commonly used in academic work (see notes on Present Progressive and Future Simple). Need help improving your grammar? Scribbr recommends reading the book Improve Your Grammar or use Scribbr’s Proofreading service. 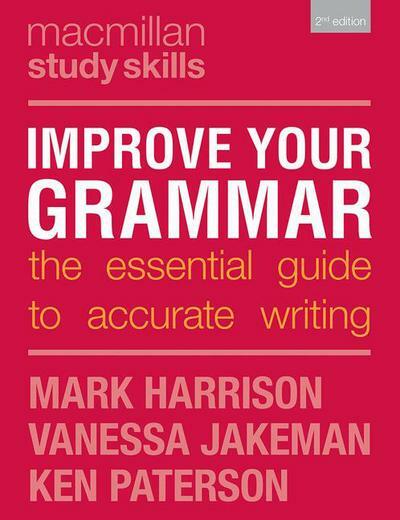 Give clear and comprehensive guidance on the nuts and bolts of grammar. Break your bad writing habits. Help you tackle written assignments with confidence. Good one :) very useful indeed! I have one small query though. What if we are talking about the the solutions which have to happen in the future, can we use future perfect tense in our essay then? eg: Stricter measures will have to be implemented. Regarding your question, it's fine to use future tense if you speak about future research. But you should make sure to use respective keywords. Lots of success with your essay! Could you please elaborate on how this article was not helpful for you? Hi Mehwash, Wat do you mean with the full reference? Is there not already everything you need for the reference on this webpage? Your article is really helpful. I am just wondering that what tense I should use if I am going to write a video/book/film review? Is it have to be the past tense, or I could use the present tense? Thank you very much. I'm glad you find the article helpful! I advise you to write your review in the present tense, since usually we talk about literature and cinema in the present tense. There are a philosophical and a practical reason for tensing it in the present. The more philosophical reason is that a book or a movie does the same thing over and over each time you look at it. In other words, in a review it's a bit odd to say "the book said" or "Ishmael boarded the Pequod" or "the movie lacked character development" because the all of these things happen with each viewing; we don't need to think of them as past events, even though you might have observed them in the past. The more practical reason is that tensing your discussion in the present makes it easier for you to differentiate between times in the book or movie. Consider a case in which you want to talk about a certain moment in the book or movie, but in talking about that moment it's helpful for you to talk about events that precede it in the narrative. In this case, you can cast the preceding events in the past tense, but keep the moment you want to focus on in the present. For example, "Ishmael spent time in the navy. Later, while aboard Ahab's whaling ship, the Pequod, Ishmael often compares sailors in the navy to the whalers he sees around him." For these reasons, most of the time it's best to write about stories (in reviews or in other literary criticism) in the present tense. The exception occurs when you want to emphasize the story as a piece of history, but your probably don't need to worry about that too much in a review." thanks for your helpful summary on the use of tenses in academic writing. For historical events throughout the study, I use past tense. But how do I cope with ongoing events that just "started" during the case study? Events/business practices that started in the past, but are still continuing and will continue in the future? Example: "Since August 2014, the company XY APPLIES/APPLIED/HAS APPLIED (?) the new way of steering the process XY." Would you recommend present or present perfect and why? Your answer would help me a lot. I'd recommend the present perfect or the present perfect-progressive. For events that began in the past but continue to effect the present, we usually go with present perfect (present conjugation of "to have" + past participle: e.g., "have/has applied"). However, if you'd like to emphasize the ongoing nature of a still-relevant event that began in the past, you can add the progressive aspect to this. So, you've got an occasion for the present perfect-progressive (present conjugation of "to have" + past participle of "to be" [i.e. "been"] + present participle; e.g., "have been applying"). It's good to avoid the progressive aspect where it's unneeded, but in the case that you want this emphasis, it's needed. As a side note, it's worth noting that, depending on the context, this sentence could mean that at some point between now and August, 2014, the company started applying said method. If it is important to be clear that the application of the new method started in the month of August, 2014, it's probably clearer to say, "The company began applying a new method in August, 2014, and has applied it ever since." This all depends on context: whether or not this matter has been clarified already, and whether or not it matters. "Since August 2014, the company has been applying a new method." "The company began applying a new method in August of 2014 and has been applying it ever since."